Which Green Interventions can Positively Influence Student Health & Performance? 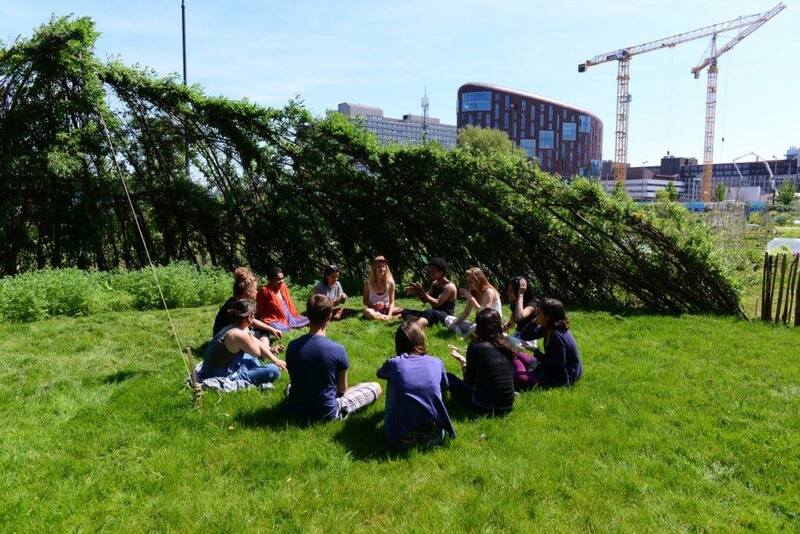 Research into the health of students on the VU Amsterdam campus. People perceive a healthy feeling after taking a walk in the park or after gardening. It turns out that this is not remarkable. A growing body of research shows that greenery is beneficial for human physical and mental health. Exposure to greenery contributes to improved air quality, restoration from stress and can serve as a resource for social interaction and physical activity. Additionally, greenery can promote the intake of healthy foods by means of, for example, urban gardening. Because of these health benefits, greenery is increasingly used as a health promotion tool. Unfortunately, universities do not yet have greenery on their agenda. This is the case while there is room for improvement in students’ lifestyles. Research shows that many students have an unhealthy diet, sleep and exercise too little, and they increasingly experience study-related stress. Students spend a great deal of their time in and around the university environment where they have limited exposure to greenery. This has to and can change! A university environment should contribute to healthy and vital students. However, to date it is unknown how to design a green and healthy university environment. For this reason scientists at the Vrije Universiteit Amsterdam (VU) launched the Green Healthy Students research programme. The objective of this research was to provide insight into the needs and wishes of students with respect to a green and healthy university environment. Additionally, researchers investigated which green and healthy interventions students rate to be successful and if these interventions contributed to their health and vitality. The Green Healthy Students research programme had three subprojects. The first subproject was an online questionnaire conducted among university students to detail their needs and wishes with respect to a green and healthy university environment. The second subproject entailed work groups given to VU students in lecture halls with plants placed in them. It was investigated if these workgroups contribute to students’ academic performances and vitality. The third subproject took place at The Green Living Lab, with the participation from The Green Student Bootcamp Challenge students. In 12 weeks students learned about sustainable choices for health, harvesting their own fruits and vegetables and preparing healthy affordable meals.